MoonLock Saturn is a realistic simulator designed to provide accurate measurements of the position of Saturn, its rings and primary moons, for the physical observation of the system. Although MoonLock Saturn is not meant to be as accurate as NASA’s ephemerides, it is sufficiently accurate to be trusty and reliable if you wish to use your telescope and predict the position of the moons and rings. MoonLock can calculate this for you automatically if you click the DST button on the bottom navigator. This is not done automatically in case you wish to set different scenarios but, clicking the button should calculate your correct time offset and Daylight Savings Time based on your computer clock. 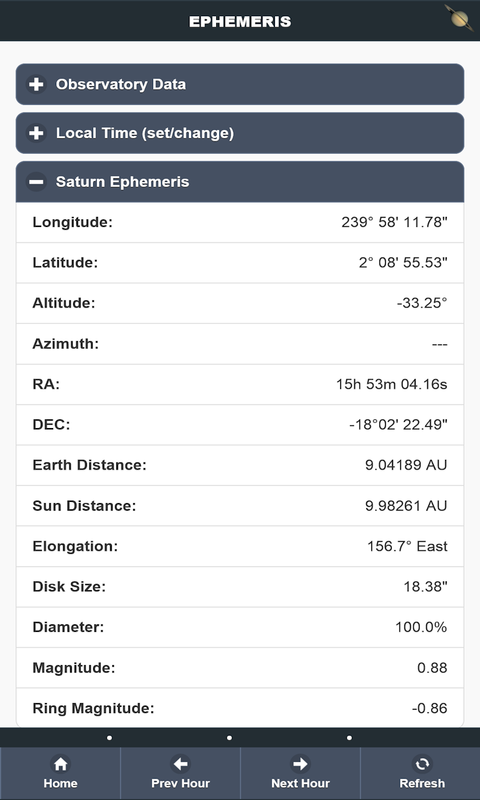 After you have done the above, simply click on any of the available functions (Ephemeris or Visualization) and all should be set. 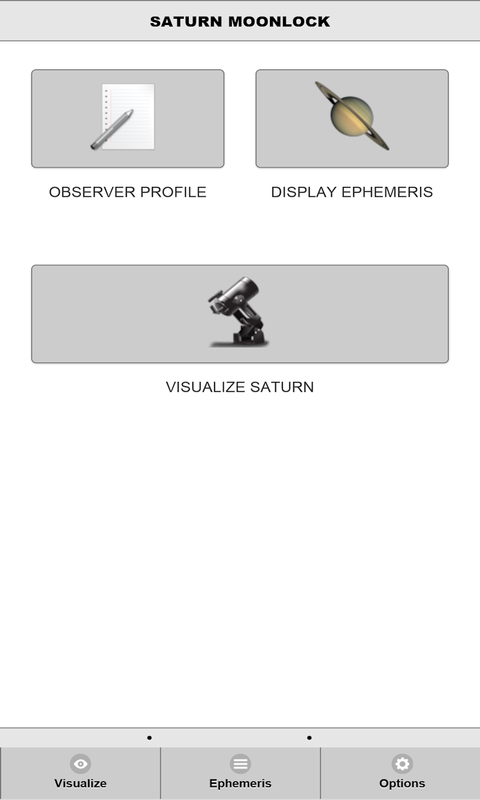 To use MoonLock Saturn you must first establish your location profile (otherwise, all calculations default to midnight - Greenwich) - this is called your "observatory". You may look up your city's coordinated easily by searching google (for instance, "Washington DC coordinates" and simply enter the location angles provided in decimal form (e.g. 53.2366). Also check the box for Daylight Savings Time and enter your time offset from GMT (for instance, in the eastern US this would be 5 hours - no sign needed for positive offsets, use negative sign for negative offsets). 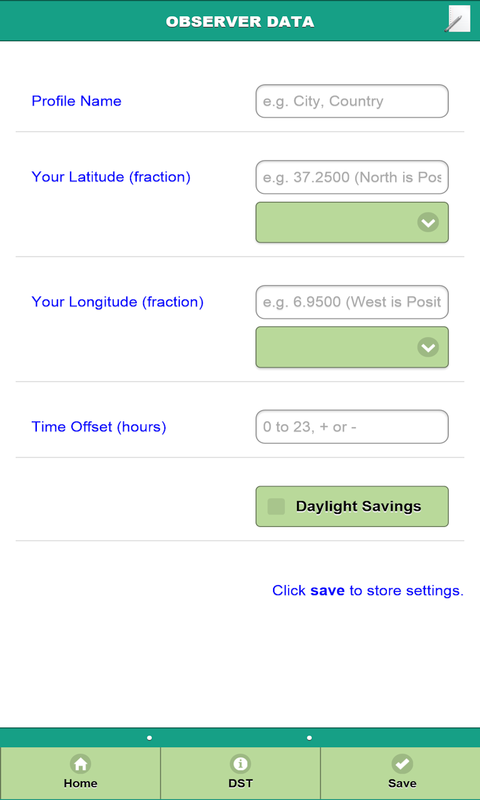 MoonLock can calculate this for you automatically if you click the DST button on the bottom navigator. 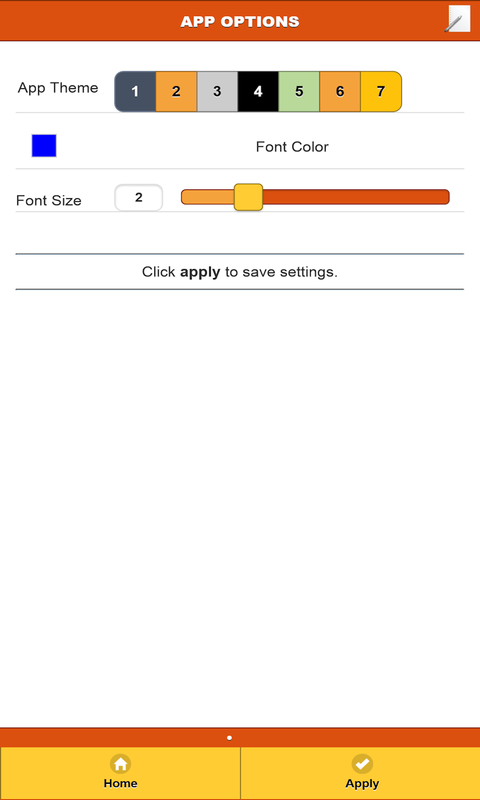 This is not done automatically in case you wish to set different scenarios but, clicking the button should calculate your correct time offset and Daylight Savings Time based on your computer clock. The information provided by this program does not always match NASA's or [enter-name-here]: For total accuracy, I recommend you use NASA's data or data from other well-known astronomical associations. This program is "sufficiently accurate" but it does not intend to replace those sources at all. 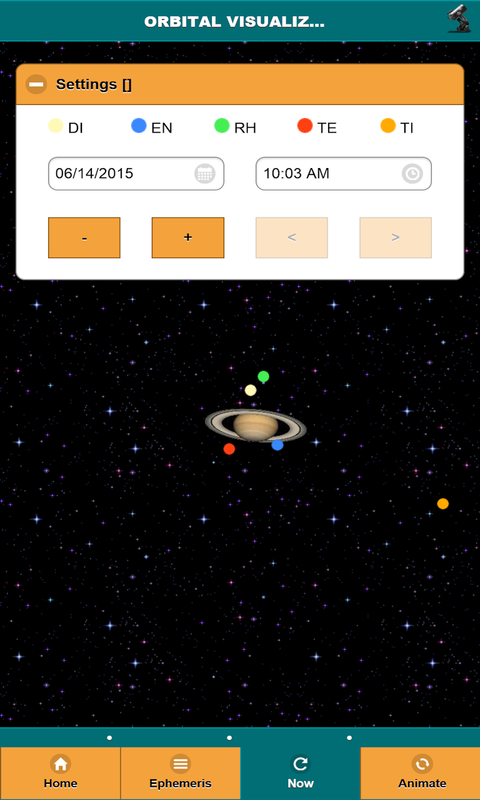 This program is designed to help a casual observer or user to quickly obtain information about Saturn and its moons. It should be very good at aiding your telescopic or visual obsertations. 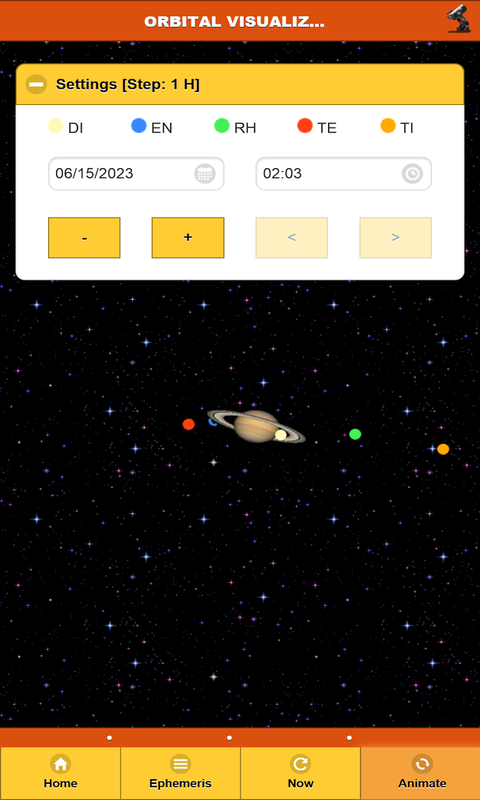 How accurate is the program: It is accurate and using Meeus' own words - it is sufficiently accurate - so that when you look at Saturn and its moons they will match what you see. The accuracy concerns need bother you only if you are intending to do detailed professional observation work and, even then, this program will not disappoint! Some other programs report slightly different information: This program takes into consideration your geographical location as well as your time zone and thus, it may provide more accurate - if slightly different results, than others that simply report mean data at 0h GMT. For almanacs, this program defaults to midnight UTC.